Few years ago, I was managing 100’s of SQL servers with 100’s to 1000’s of databases in a very busy environment. My challenge was how to manage all SQL Server instances, databases and have a complete inventory of my environment. 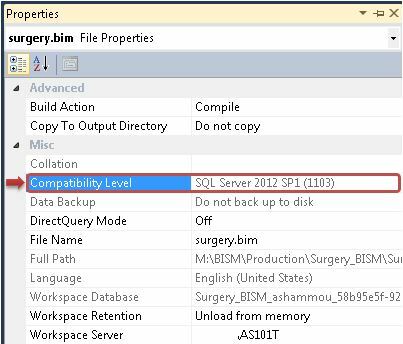 SQL Server Management Studio is a tool will allow me to view data per instance, so I have to connect to each instance and browse the properties of each instance but not from a central view. I needed a tool that I can see total number of Servers with summary that I can drill down by environment by business unit down to an object level. I want to look up a user permission across SQL Servers and level of access, I need to know how many databases, objects and users are by environment i.e. Production, test, dev and QA, how much total storage my SQL Server are using with drill down capability and break it down by file type and display growth trending. Long story short, I needed a centralized management view of my SQL server environments that I can have a complete inventory that can answer my previous questions. I began building a centralized reporting system by creating a master repository database on a SQL Server instance. The repository would store data about every SQL Server instance, database, object, and user in an enterprise database environment. I developed a custom an SSIS package that collects a plethora of SQL data with details on SQL server Instances and databases, and store the data in a central database. After data is in the repository, you can use Reporting Services to view the data. I developed different dashboards and reports in SQL Server Reporting Services to view instance, databases, objects and users data. This solution helps me monitor the status and inventory of 100’s to 1000’s of databases and assess how big my environment is and have access to enterprise data from centralized reports. 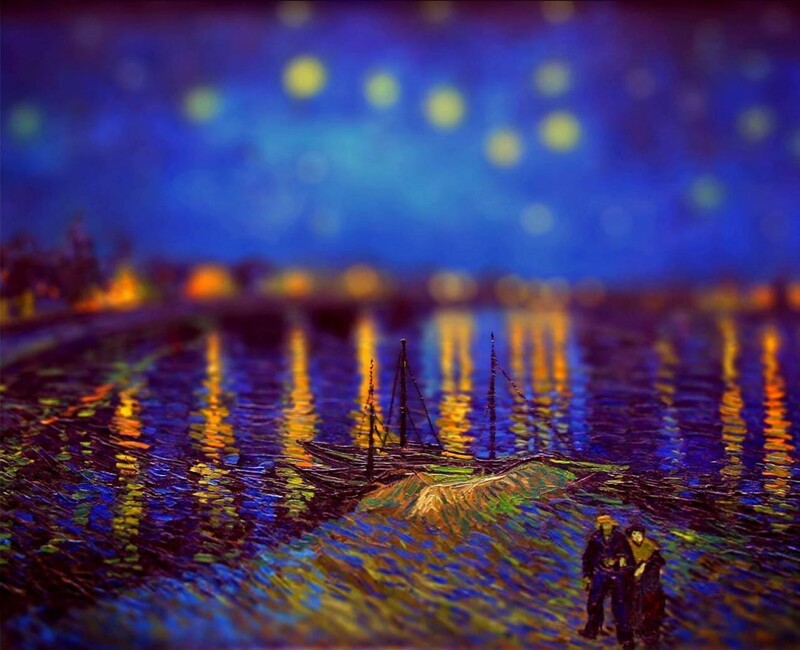 It may sound like a rather odd name for an End-to-End Auditing Compliance project – and the roots admittedly enough are based on the authors’ prediliction toward great food in the city of Montréal – but there actually is an analogous association! Château means manor house or palace and kebob refers to meat that is cooked over or next to flames; large or small cuts of meat, or even ground meat, it may be served on plates, or in sandwiches (mouth watering yet). Château Kebob means house of kebob with different meat. So why did we call our project “ChâteauKebob”? In this project Denny Lee and I used a château of different technologies in one framework or house with Kebob of mixed of data small or big data, structured and unstructured, and served on plates or in sandwiches, … sorry I meant served with multiple BI tools for reporting and analysis. The purpose of this project is to provide a set of tools and jumpstart with scripts to implement the project involving HDInsight (Hadoop), SQL Server 2012, SQL Server Analysis Services 2012, Excel 2013 PowerPivot and Power View. You can review an overview of the project at slideshare . The SDK is available at GitHub to download the entire project. On July 9-11, I will be presenting a cool session on “Building BI Semantic Model Tabular in 60 minutes” at the SSWUG SUMMER CAMP event. It is a virtual event where you’ll have access to the video sessions right at your computer with live interaction. This event is bringing you great how-to information and real-world solutions on everything from SQL Server, SharePoint, Business Intelligence, Security, Cloud and Development. Don’t miss it and join us at the Conference. Hadoop brings scale and flexibility that don’t exist in the traditional data warehouse. Using Hive as a data warehouse for Hadoop to facilitate easy data summarization, ad-hoc queries, and the analysis of large datasets. Although Hive supports ad-hoc queries for Hadoop through HiveQL, query performance is often prohibitive for even the most common BI scenarios. A better solution is to bring relevant Hadoop data into SQL Server Analysis Services Tabular model by using HiveQL. Analysis Services can then serve up the data for ad-hoc analysis and reporting. But, there is no direct way to connect an Analysis Services Tabular database to Hadoop. A common workaround is to create a Linked Server in a SQL Server instance using HiveODBC which uses it through OLE DB for ODBC. The HiveODBC driver can be downloaded from here. 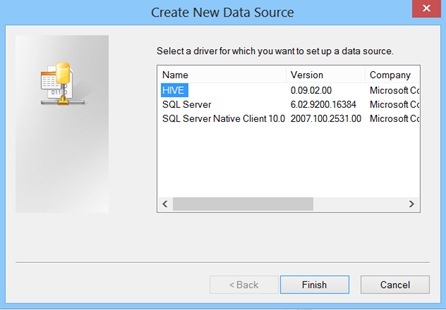 The following steps show you how to create a Hive ODBC Data Source. Click Start -> Control Panel to launch the Control Panel for Microsoft Windows. In the Control Panel, click System and Security->Administrative Tools. Then click Data Sources. This will launch the ODBC Data Source Administrator dialog. 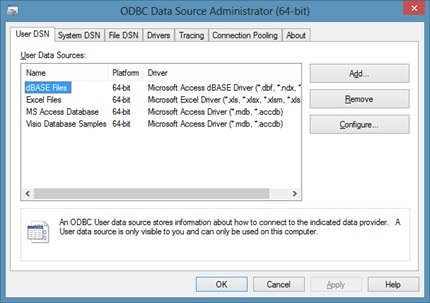 In the ODBC Data Source Administrator dialog, click the System DSN tab. Click the HIVE driver in the ODBC driver list. Click the Finish button. 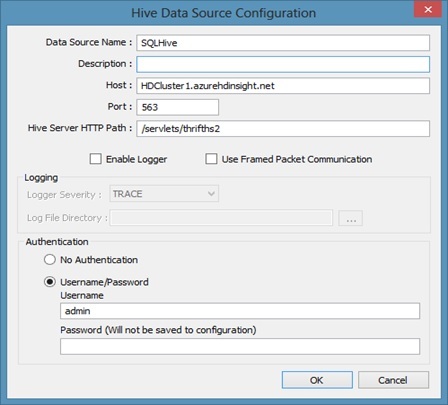 This will launch the Hive Data Source Configuration dialog. Enter a data source a name in the Data Source Name box. In this example, SQLHive. In this example, we are connecting to HDInsight (Hadoop on Windows Azure). In the Host box, replace the clustername placeholder variable with the actual name of the cluster that you created. For example, if your cluster name is “HDCluster1” then the final value for host should be “HDCluster1.azurehdinsight.net”. Do not change the default port number of 563 or the default value of the Hive Server HTTP Path, /servlets/thrifths2. If you are connecting to Hadoop cluster, the port number would be 10000. Click OK to close the ODBC Hive Setup dialog. Once the HiveODBC driver is installed and created, next you will create a SQL Server Linked Server connection for HiveODBC. 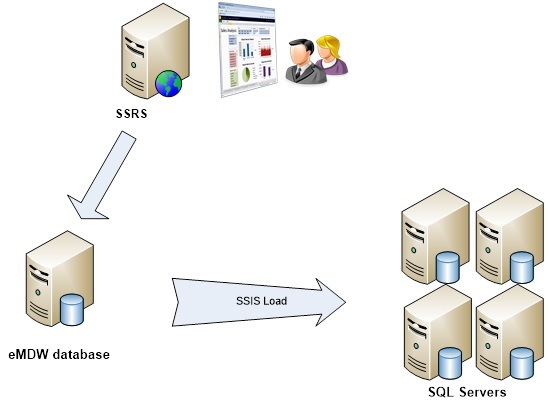 SQL Server can serve as an intermediary and Analysis Server can connect to Hadoop via Hive Linked Server connection in SQL Server, so Hive appears as an OLE DB-based data source to Analysis Services. A system data source name (DSN) “SQLHive” for the Hive ODBC connection that we created in the steps above. A linked server object. The Transact-SQL script illustrates how to create a linked server that points to a Hive data source via MSDASQL. The system DSN in this example is called “SQLHive”. username and password to connect to Hadoop. Where “HiveTable” is the name of Hadoop Hive table, you can replace the name with the actual Hive table name. The steps below describe the way to import data from a hive table into new SSAS Tabular model using the Linked Server connection that you created in the steps above. In SQL Server Data Tools, on the File menu, click New, and then click Project. In the New Project dialog box, under Installed Templates, click Business Intelligence, then click Analysis Services, and then click Analysis Services Tabular Project. In Name, type Hive Tabular Model, then specify a location for the project files. By default, Solution Name will be the same as the project name, however, you can type a different solution name. In SQL Server Data Tools, click on the Model menu, and then click Import from Data Source. This launches the Table Import Wizard which guides you through setting up a connection to a data source. In the Table Import Wizard, under Relational Databases, click Microsoft SQL Server, and then click Next. In the Connect to a Microsoft SQL Server Database page, in Friendly Connection Name, type SQLHive DB from SQL. In Server name, type the name of the SQL Server database that hosts the SQL Linked Server connection to Hadoop/Hive. In the Database name field, click the down arrow and select master, and then click Next. In the Impersonation Information page, you need to specify the credentials Analysis Services will use to connect to the data source when importing and processing data. Verify Specific Windows user name and password is selected, and then in User Name and Password, enter your Windows logon credentials, and then click Next. Once the above table was imported, you can import additional dimensions and you can create a relationships between the tables. Now the Model is ready to be deployed to SQL Server Analysis Services (SSAS) Tabular instance. The Hive ODBC driver makes it easy to import data from your Hadoop Hive table into SQL Server Analysis Services Tabular instance database where Business Intelligence tools may be used to view and analyze the data. To analyze hardware utilization within their data centers, Microsoft’s Online Services Division – Global Foundation Services (GFS) is working with Hadoop / Hive via HDInsight on Azure. A common scenarios is to perform joins between the various tables of data. This quick blog post provides a little context on how we managed take a query from >2h to <10min and the thinking behind it. Over the past few years Denny Lee (Technical Principal Program Manager within Microsoft’s SQL Business Intelligence Group) and I are always working on a very exciting SQL Server projects, earlier this month we presented “Big Data, BI, and Compliance in Healthcare” at PASS BA Conference in Chicago, IL. Few years ago, we implemented “Centralized Audit Framework” to manage and view the audits of entire SQL Server environment that will parse, load, and report all of audit logs. Expanding on the “Reaching Compliance: SQL Server 2008 Compliance Guide” to more easily handle larger volumes of structured and unstructured data and to gain richer and deeper insight using the latest analytics. To achieve this, we are building a Big Data-to-BI project involving HDInsight (Hadoop on Windows or Azure), SQL Server 2012, SQL Server Analysis Service 2012 Tabular instance, Integration Services, PowerPivot, and Power View. The purpose of this SDK is to provide a set of tools and jumpstart with scripts to implement the Auditing project involving HDInsight, SQL Server 2012, PowerPivot and Power View. The basic implementation of the Auditing and Reporting solution is shown in the figure below. The general flow of data in this solution is that Audits are created on any number of SQL Servers (2008 and 2012) in the environment and are set to log to the file system. The audit logs will be stored directly to a central network file share. A scheduled SQL Server Agent Job runs an SSIS package that reads the audit log files, combines them into large file sizes (250MB to 1GB file size) and uploads them to HDInsight Blob Storage which is the storage source for HDInsight on Azure or Windows. Once audit logs stored in HDInsight Blob storage, we use Hive which is a data warehouse framework for Hadoop that facilitates easy data summarization, ad-hoc queries, and the analysis of large datasets. Create a BI Semantic Data Model tabular to bring relevant Hadoop data into SQL Server Analysis Services Tabular by using HiveQL via SQL Server Linked Server connection to Hadoop Hive. Analysis Services can then serve up the data for ad-hoc analysis and reporting. 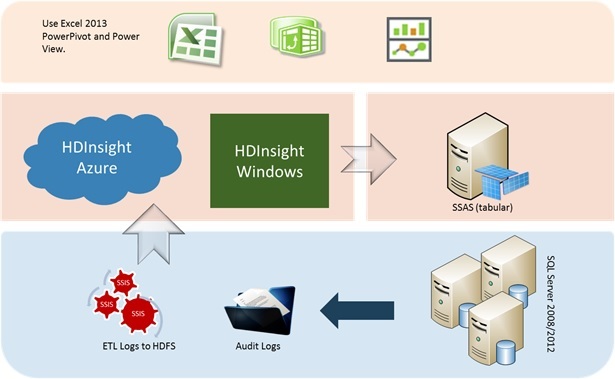 Reports are created with Excel 2013 using Power View that interacts with views of data from data models based on SSAS tabular model, or using Data Explorer to import audit data from Hive external table in HDInsight to allow compliance auditors and server administrators to assess the server compliance and trends in server compliance. This information would then be fed back to the appropriate security, administrator and application development teams to enact policies to approve levels of compliance. As the system evolves, teams may load additional application audit logs into Hadoop which could help tie these SQL Server specific activities to application and business activities. The SDK will be available soon at GitHub to download the entire project. Stay tuned! RANKX is a DAX function introduced in SQL Server PowerPivot 2012. It returns the ranking of a number in a list of numbers for each row in the table argument. For more information about RANKX, please click here . I have a list of hospital clinical departments (to simplify the example, I’m using 2 departments) and would like to rank the providers in each department by revenue. I started with creating a table in Excel “Table1” and add it to PowerPivot model. The RankAsc and RankDesc measures will rank the [TotalRevenue] for the current Row against the [TotalRevenue] for all the other rows in the Revenue column. 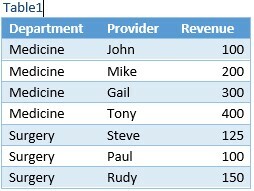 The ALL(Table1[Provider]) is the list of values that the rank function use to compare the current row against. The difference between the two rank measures is the Order of rank value (low to high or high to low). One thing to notice here is that I use an existing measure TotalRevenue. The descending rank works ok but the ascending rank starts with 2, why is that? Let me explain, I was ranking the set of providers in ALL(Table1[Provider]) which includes everyone, not just the folks in the one department. When I filter on Medicine, the folks who are not in the Medicine department are still in the set that is being ranked. The use of ALL() means that I am ranking against an unfiltered set of all the providers, not just the providers in the selected department. The part I added is highlighted in red, and it says to only consider the providers who have non-zero revenue. So far so good, but what if I have a provider with no revenue (NULL value) in the Medicine department. I replaced the provider “Gail” revenue with NULL value. As you can see above, that Gail is Rank = 1 in ascending order, that is because the RANK =1 position is going to the items that are tied with no data. In other words, if there are any items in the column for whom the measure is BLANK(), they would all be tied for position =1 when you rank in ascending order. 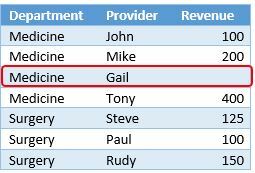 The above formula will check the TotalRevenue measure for a provider, if it is not blank then rank, otherwise ignore it. I got the required result which doesn’t show a rank for a NULL value. This just a simple example but you can do much more with the Rankx function. SQL Server 2012 SP1 introduces new features for Analysis Services running in Tabular mode, including optimized storage for measures and KPIs, extended data categorizations, extended characters, hierarchy annotation, and improved support when importing from Data Market data feeds. In some cases, Tabular model projects being deployed may not be compatible with an Analysis Services deployment server instance. With SP1 applied, you can specify Compatibility Level when creating new Tabular model projects, when upgrading existing Tabular model projects, when upgrading existing deployed Tabular model databases, or when importing PowerPivot workbooks. 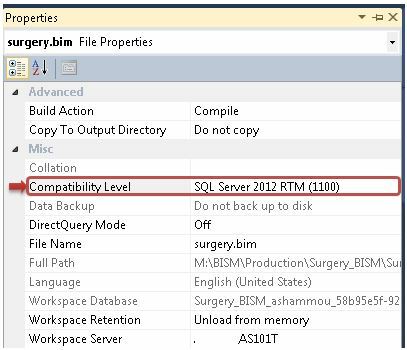 So in order to be completely running the latest SQL 2012 Service Pack 1 in your environment, you need to upgrade SQL Server Analysis Services Server (SSAS) Tabular mode, Tabular Model projects and Tabular Model databases separately. Tabular databases do not support Compatibility Level downgrade. In order to resolve this issue, I found a workaround where I was able to upgrade my Tabular Model project to SP1 and deployed it to SSAS Tabular mode server. 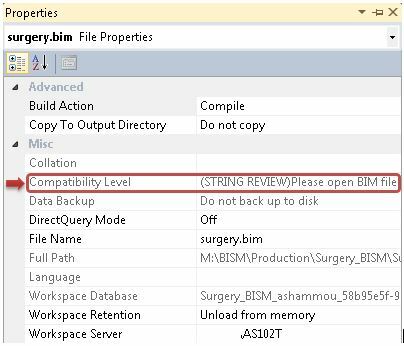 Now, your BISM project is upgraded successfully to SP1, you can change the workspace server back to the original one.